Haitian International announced recently that it is constructing a new 120,000sqm plant for the production of fully electric injection molding machines in Chunxiao, near Ningbo, China, which is expected to commence at the beginning of 2014. The company is also planning another plant in Yanshan, Ningbo with a production area of 150,000sqm for large-size injection molding machines. These will be Haitian’s 12th and 13th production facility in China. “To create efficient solutions for the customer, it always begins at home. Only when you have exhausted all possibilities within your own manufacturing process can you talk about real efficiency and offer an optimal price/performance ratio to customers,” said Prof. h. c. Dipl.-Ing. Helmar Franz, Member of the Board of Haitian. According to Mr. Franz, both new plants will be designed and built according to the principles of lean production in China because “building competitive machines requires as much flexibility as possible with extensive minimization of costs”. 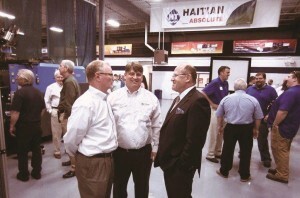 Fang Jiangting, the plant manager of the 11th and so far the largest Haitian plant, is responsible for the design work. Haitian also revealed that it is increasing Research & Development (R&D) activities, which includes the development of additional drive combinations and solutions for processing innovative composite materials, plus the expansion of existing machine models with high efficiency economy versions. 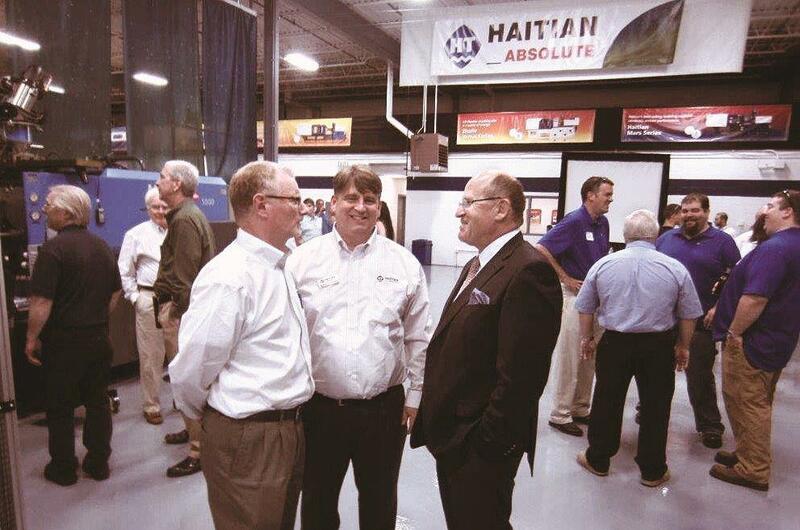 In May 2013, Haitian opened a new technology center in Cleveland, the US, and in June 2013 the headquarters in Russia was relocated to a completely new building in Moscow, with showroom, tech center, and office. In addition, a subsidiary was established in South Africa. Communication between all business units of the Haitian Group is to be coordinated in future from the new headquarters in Ningbo, whose construction phase will be finalized this October.